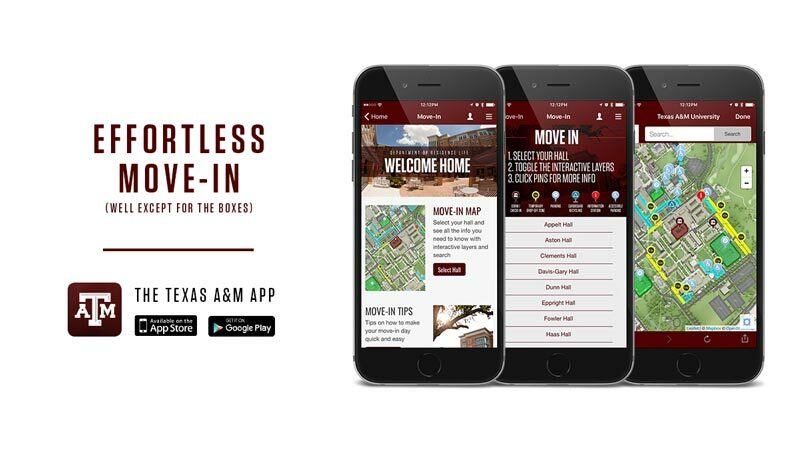 TAMU Mobile Helps You Move In! TAMU Mobile helps you move-in! Allows you to find your hall and see where drop off zones, nearest parking and aid stations are for YOU! Tap on the app for a smooth move!